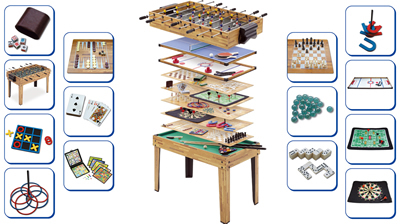 The MM-34-IN-1 table has twenty games in the one table plus fourteen more in a magnetic travel games set. Sturdy manufacture in a light oak coloured finish. All the games pack away in the table when you've finished playing. (Yes mum we were thinking of you for that feature) Includes everything needed to play all the games and you get the instructions on how to play. You can never get bored with this collection of games to choose from. 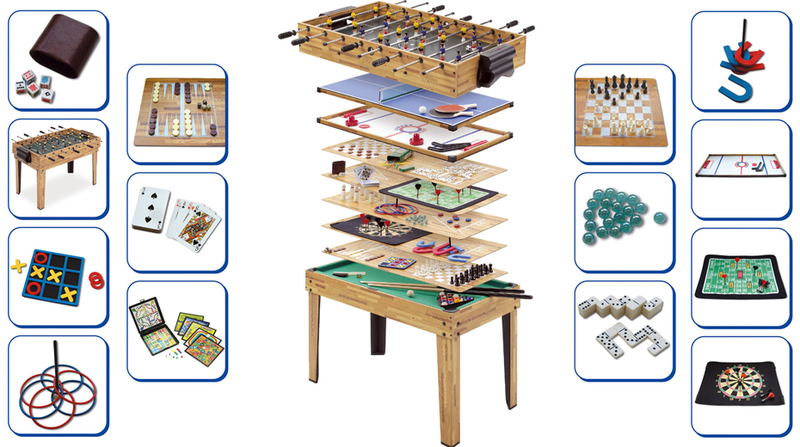 A super collection of games for the kids (and the grown ups too) on this truly multi games table. Dimensions: L127cm W 62cm H 82cm .